The marriage of feathers and down from grey duck provides superb support, softness, and warmth. Grey Duck feathers and down pillows boast unique natural insulation, thermal efficiency, and antimicrobial properties. The down has better insulation while spherical filament angle with plethora pores expand with temperature fluctuations. 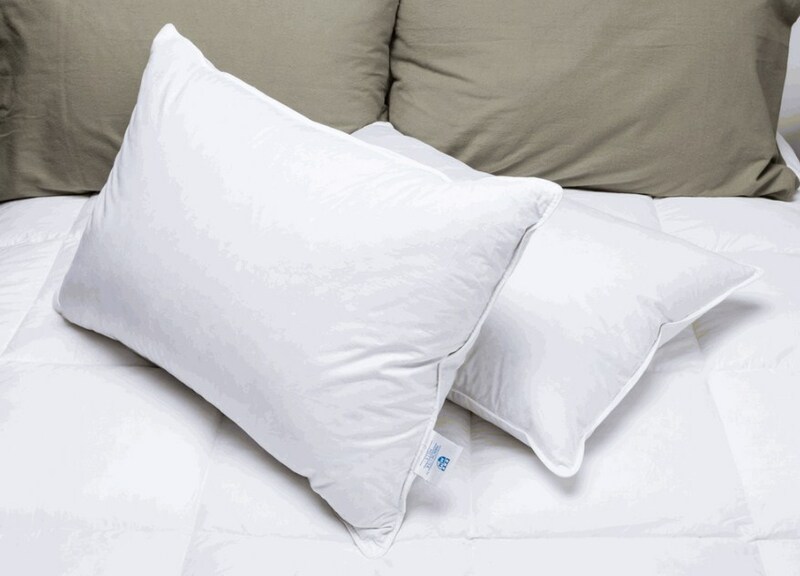 Down Dreams Standard Pillow Review propels Grey Duck filling in the catbird seat of this niche due to efficient thermal function, air trapping and uniform heat dispersal that also cuts off the intrusion of cold air. Grey Duck possesses thin, soft and resilient filaments to improve bulk degrees, insulation, and airflow. Squash your head up against the super-plush pillow with an inner core of firm feathers nestled within a gentle outer seam of pristine down. Down Dreams stashes Grey Duck feathers in its inner core for fluffy support and pure down in the outer chamber for velvet-like silkiness that’s as soft as a baby’s backside. The dual chamber construction outer section packs approximately 75% of fluffy down for comfort while the inner core of small feathers renders superior resilience and support. The recipe of feathers and down makes medium-firm density pliable in multiple sleeping positions. The dual compartment design permits your head to settle in before reaching the fortifying inner chamber gently. It cradles your head in cozy down while shored up by the nucleus of duck feathers. 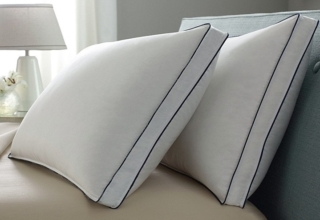 Ensconce your head in super-plush 233-thread-count 100% cotton cambric barrier fabric with a touch luxury. Tightly woven twill prevents feathers and down from sneaking. Barrier weave cotton shell offers the most exquisite, softer and more durable surface for medium support density. The incredibly soft and breathable cotton cover serves up a super-huggable surface. Add a deluxe spin and feel modern décor with its double needle stitched and knife-edge finish. Down Dreams possess corded edges for durability and long-lasting use. 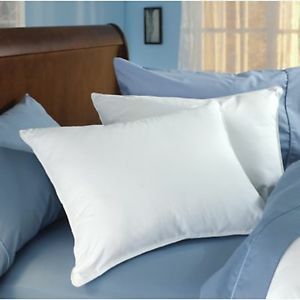 The 233-thread-count 100% cotton sateen offers a wrinkle-resistant finishing and crease-free head cradle-women thirst for satin smooth and crisp barrier fiber. If you’re combing for a touch of luxury with support, then the Down Dreams medium support fits your head’s cradle quest like a glove. 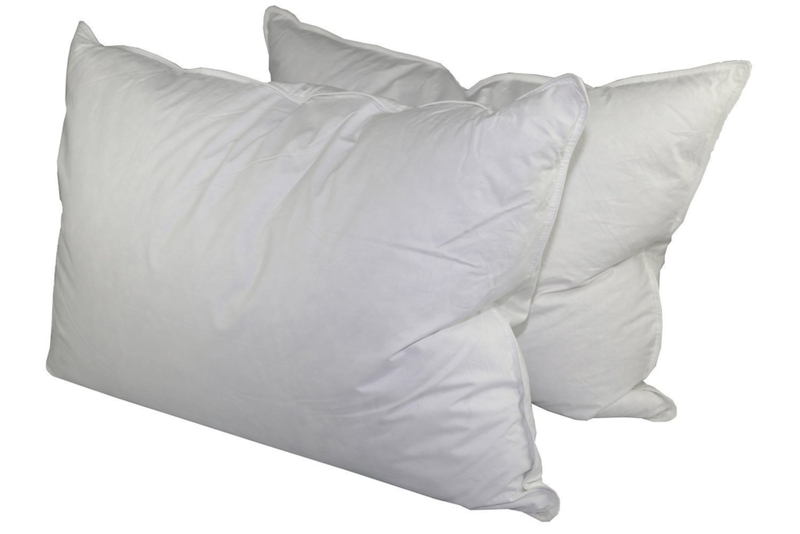 The pillows boast an inner nucleus of firm grey duck down and feather filling for bulk and comfortable support. A generous infusion of down (75%) boosts softness and warmth for a hypoallergenic soft down pillow you’ll crave to snuggle down. Medium density cuts the mustard for side or stomach sleepers, especially if you flip your back. When on your back, the pillow exerts support directly beneath your neck and upper spine. 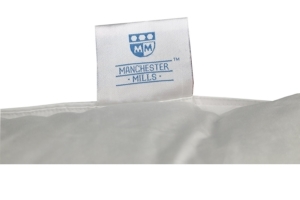 Back sleepers also benefit from medium-support as the Down Dreams provides ample support for the head and neck with a generous volume of loft. Grey duck down provides warmth and feathers support. 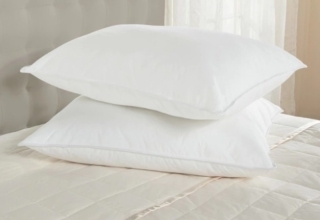 Despite goose feather mixes taking the driver’s seat in the comforter’s market where insulation and warmth count, duck feather fillings dominate pillows. Nevertheless, grey duck feathers still possess the insulation properties used by birds in the chilliest climates. Thus, your Down Dream offers the extra warmth given by other beddings such as comforters. The fill undergoes rigid sterilization to flush out dirt, odor, natural oils, microbial contaminants, and dust. The tough waterproof coating of fluffy and soft feathers prevents filling from collecting moisture while staying warm and dry. They contain tons of pockets that trap warm air to retain heat for luxurious warmth. Down Dream constitutes of natural, more resilient and tougher soft plumage that offers luxurious warmth in the long haul with proper care. Down pillows get ravaged by an agitating washer as it’s entangled around the agitator. A front-loading, non-agitating machine with a mild detergent and warm water in the gentle cycle removes body oils, dirt, spills, stains, perspiration and body oils. Tumble-dry with a dryer at medium or low settings. Fluff up your pillow a couple of times during the drying process, and distribute feathers with your hands. Good housekeeping proffers you add two tennis balls to help pads recover loft faster. 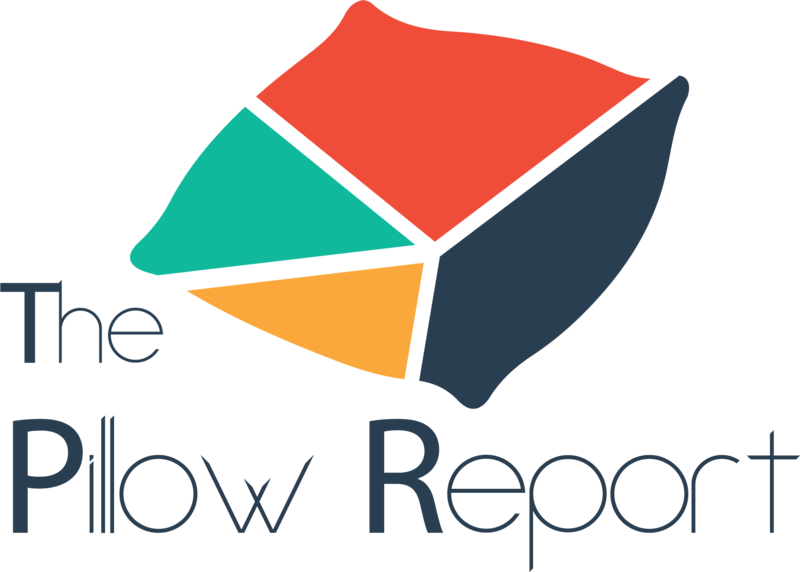 Why should you use Down Dreams Standard Pillow? Down Dreams double chamber design uses a fluffy down seam to envelop an inner core of small feathers that provide resilience and support. Down gives you a velvet-soft surface for fantastic sleep. It keeps your head delicately cradled in velvetiness. Grey duck down and feather may not resonate with many sleepers as soft goose plumage still dominates media. Add a new spin of luxurious warmth with this natural fill known for enhanced thermal retention, hyper-clean down and 100% super-soft cotton shell. 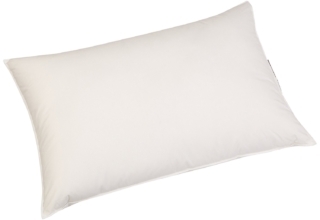 The Grey duck down and feather pillow features double need-stitched, corded edges for long-lasting use. The dual-chamber design of feathers and down makes it supportive, ultra-durable and cozy. The cotton barrier weave will keep dust mites at bay and prevent feathers from punching through the outer shell. Medium-density provided by Down Dreams will keep the side and back sleepers comfortable with moldable support for the neck and spine. It maintains shape and offers spinal backing around your neck by aligning to body movements. The pillow stands out in a cluttered market with a unique design that stacks feathers and down in a subtle sectional compartment. 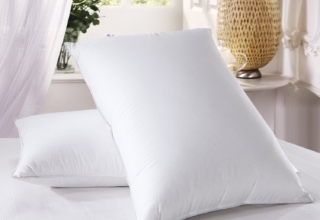 It will bring the traditional comfort and style of a down pillow. It creates medium density with hotel-plush quality. You will relish in its opulence and a functional touching of luxury. Does it make America Great Again? Where was it made or assembled? Tag says made in China, but we have a Beijing-Washington thaw folks. Are they down, feather, polyester fill or a combination? Fill only 75% Grey Duck Down outer chamber and 25% Grey Duck Feather. What are the dimensions & weight? What is the fill (soft, medium, firm)? Would they ape the quality of pillows found in Hilton hotels? When staying in their hotels, there is lavish pillows menu? Yes, I bet on the bottom dollar. Its outer shell packs super-soft down that cradle your head gently. Can you hand-wash these as I fear I can dilapidate with machine agitator? Yes, hand-wash if you have not a front-loader machine. 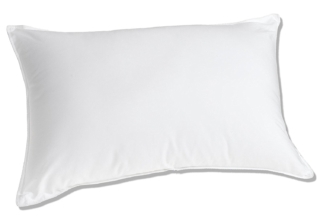 Our Down Dreams Standard Pillow Review knits together superior natural insulation, absorbent and thermal-regulating properties of the unchartered grey duck down and feathers. Never leap at low-hanging fruit-you’ll throw substandard synthetic and geese down away in a month. Down Dream comes as a smash hit and a hard-sell type made from an unplumbed but equally fluffy, comfortable and highly resilient filling. The dual-chamber construction stashing down within an outer segment and feathers in the inner core allows you to squash in softness and sumptuous support. 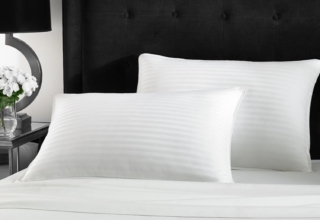 The shell comes in a super-plush 233-thread-count and 100% cotton cambric that keeps filling locked in place. It offers medium support with a moldable surface to align to your neck, head, and shoulders.